Well Maintained and Lightly Used! 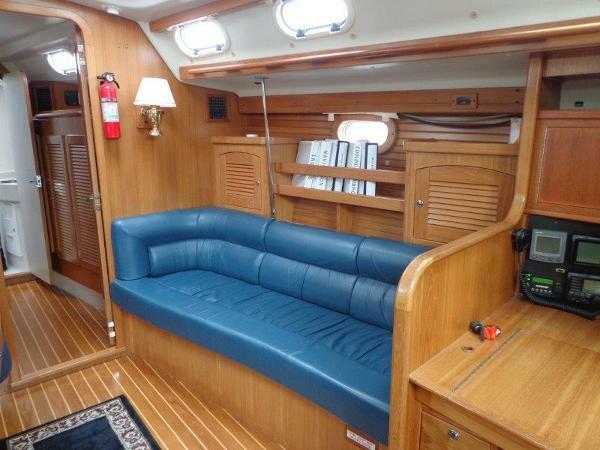 The Catalina 470 is a boat well known for her sailing ability and value for the dollar. This two cabin, two head model gives almost 7' of headroom below so you never need to feel cramped but, is still easily sailed. Sally C has been further enhanced by the addition of electric primaries that have been moved farther aft to allow easy trimming while at the helm. She's big and roomy but still looks graceful on her lines, gives a good turn of speed and, is easy to handle. Consider Sally C! METICULOUSLY MAINTAINED ♦ MANY UPGRADES Beckoning with life raft, sat phone, SSB, and EPIRB is ready for offshore passage making, maintained and upgraded her to be ready for some blue water passage making. The cockpit is large and comfortable. 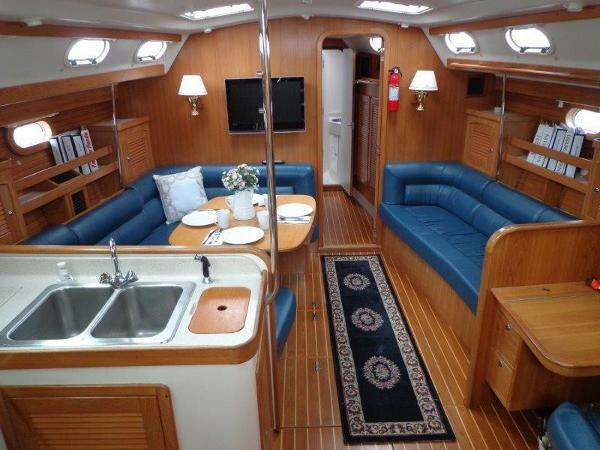 The interior layout is very well designed for comfortable liveaboard cruising and "Beckoning" is in excellent condition. Just a few of her highlights and many upgrades: Hard Dodger 2014 Full Enclosure with "glass" and UV screens (keeps the cockpit cool) 2014 Simrad Sonar 2016 Mack Furling Mainsail 2017 Raritan Marine Elegance fresh water electric heads (2) 2014 New cockpit speakers 2018 SSB and AIS much more, come and take a look It’s not often that we find a boat as well equipped and maintained as this one. if you are looking for a ready to go yacht that just feels right when you step aboard we suggest that you call for an appointment – You will not be disappointed with what you see. 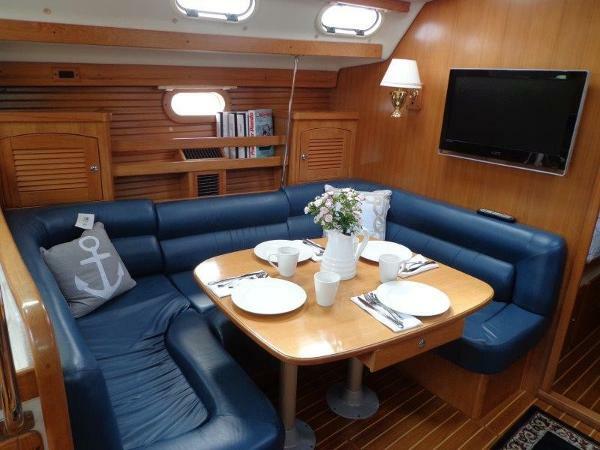 Beckoning is a turn key go cruising yacht.